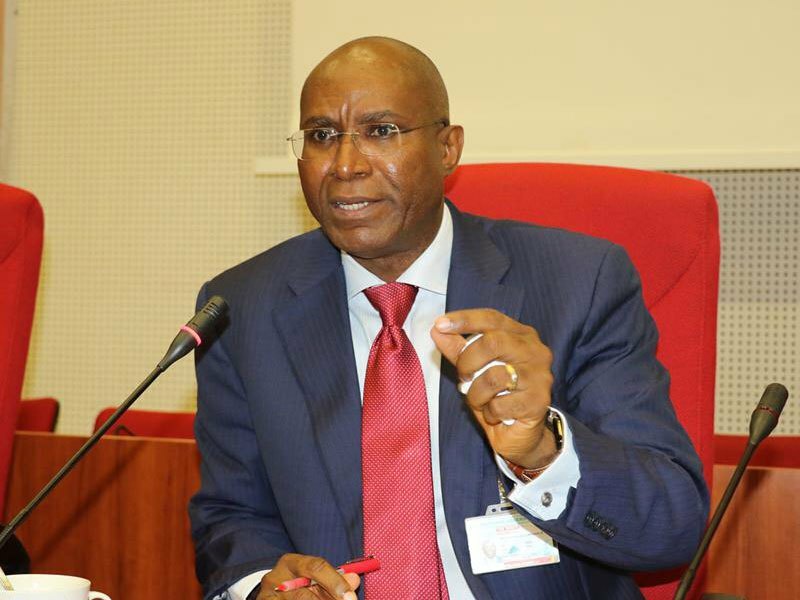 Senator representing Delta Central senatorial district, Mr Ovie Omo-Agege has said that nobody can stop him from taking his seat during proceedings of the upper legislative chamber on Tuesday. Omo-Agege who fielded questions from reporters at the National Secretariat of the ruling All Progressives Congress (APC) in Abuja, expressed optimism that renewed moves by the Abubakar Bukola Saraki-led Senate to sustain the 90 days suspension clamped on him would fail. He argued that moves by the Senate to secure a stay of execution of the order would not see the light of the day since the suspension was illegal and unconstitutional ab initio. “He who must come to equity must go with clean hands. Their hands are not clean and that was why we got the declaratory order. There is no reason why I should not show up tomorrow. Most likely than not I will be in the Senate tomorrow. The Senate had on April 12, 2018, suspended Omo-Agege for 90 legislative days for dragging the chamber to court over the amendment to the Electoral Act 2010, which sought to reshuffle the sequence of polls during the general election.